Fourteen cities and three municipalities make up what is officially known as Metro Manila, referred to by most residents and visitors simply as MANILA, a massive, clamorous conurbation that covers 636 square kilometres and is home to almost 10 million people. To add to the confusion the old part of Manila – the area near the old walled city of Intramuros – officially remains the capital and seat of the Philippine government. In practice, the seats of government are all around Metro Manila, with the executive, administrative and judicial branches in Manila, the Senate in Pasay City and Congress in Quezon City. At first sight Manila (in this book, the word refers to the whole conurbation) is intimidating: noisy, unkempt and with appalling traffic. There are few open spaces and only a handful of remarkable buildings. Signposting has improved in recent years, but is still woefully inadequate or misleading. Finding your way around is made even more difficult by the absence of significant modern or historical landmarks – most of the buildings are low concrete structures built in a hurry since the end of World War II. Skyscrapers have gone up in some of the business districts, but none is as notable as Hong Kong's Bank of China or Kuala Lumpur's Petronas Towers. Manila has no proper city centre. To some Manileños, the central business district of Makati is the city centre, to others it might be Quezon City or the Roxas Boulevard/Manila Bay area. Each is a city in its own right. Roads run everywhere like capillaries, and suburbs act as connecting tissue between new centres of population. It is this apparent lack of order, though, that imbues Manila with character. Its flaws are what make the city human, giving it an anarchic charm that sweeps you along. Manila is also a city of striking emotional counterpoint. Frothy mansions belonging to tycoons and politicians fight for space with squalid shantytowns built along railway tracks. One of the problems Manila faces is the unceasing influx of provincianos, people from the provinces who believe the streets are paved with gold, most of whom end up squatting illegally on any spare scrap of land they can find. The fight for space is intensified by the city's apparently insatiable appetite for shopping malls. To understand Manila completely, to get under its skin, you need a grasp of its complex and sometimes tragi-burlesque history. It has been razed by an earthquake, bombed, occupied, bombed again and rebuilt. It has expanded inexorably, but public services have not kept pace. The result is a rakish megalopolis that lives on its wits and maintains a frenetic pace 24 hours a day just so it can get things done. The roads are always busy and the buses always full, but in Manila you learn to go with the flow, never worrying about whether you'll be late or whether your taxi is going the wrong way down a one-way street. The Filipino maxim bahala na – what will be will be – applies as much to Manila as it does to life. Despite its problems and troubled history, Manila is a sociable city, with a populace who take pride in their cultural affinities to the West and their embrace of all things American. 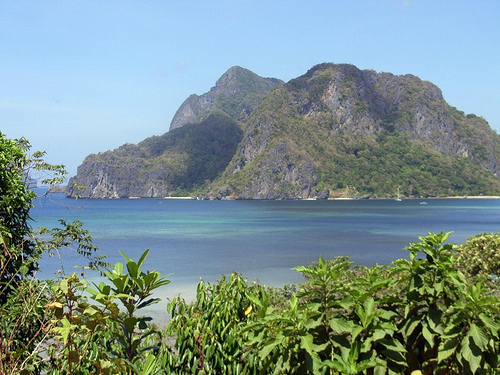 Most tourists, however, use Manila as a transit point, a place to spend a day or two on the way to the islands and beaches of the south or the mountainous tribal areas of the north. A couple of days is all you really need to explore the key sights in and around Intramuros, the city's only notable historical enclave, its stone houses and grassy courtyards much as they were when the Spanish regime came to an end in the nineteenth century. If you've got a bit more time on your hands, take a wander through nearby Binondo – Chinatown – or head out of the city on a day-trip. There's plenty to see and do in the vicinity of the capital, from the Manila Bay island of Corregidor, a fascinating reminder of the horrors of war, to the rapids and waterfalls at Pagsanjan. Manila also prides itself on the quality of its nightlife and the ability of its residents to kick up a good time. For many tourists, this will be their enduring memory of the place: funky bars and nightclubs in areas such as Malate and Makati whose attraction stems from their egalitarian nature. It doesn't matter who you are or what you are, you will have fun in Manila. All you have to do is take a deep breath and dive in.